Poor abused dinner table chair! I managed to spill paint on it, drip hot glue on it, and just made a general mess out of it. It became a place to craft on with the intention that one day, I would give it a new life. I have a set of four that belonged to the kitchen table we owned previously. The table was broken, but we kept the chairs. 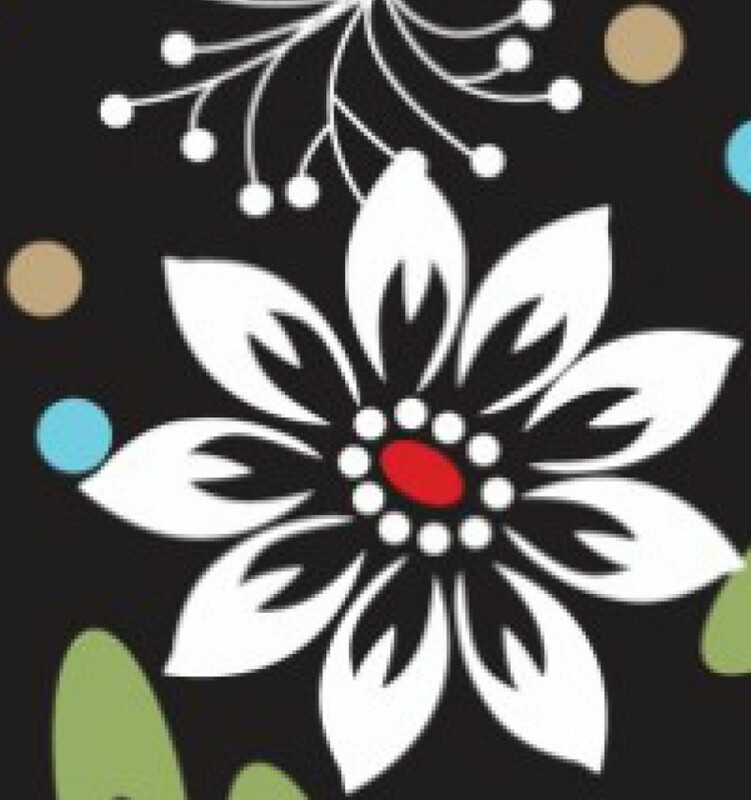 They are about as basic as it gets, similar to the one picture below. 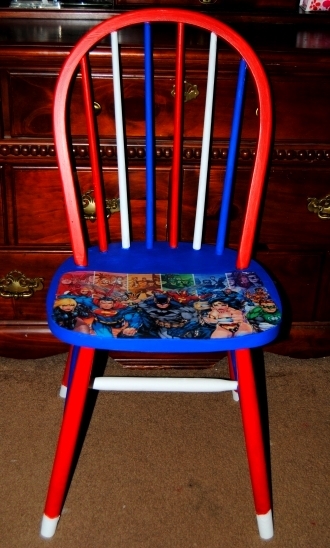 When I finished the Kids Justice League Of America Chair a few people including the hubby, suggested I create an adult version for all the “grown up” Justice League fans out there. 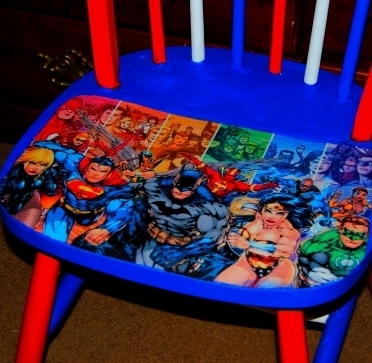 This chair seemed like a good candidate for a super hero makeover. The chair was heavily lacquered so a white latex primer was a must! Once primed, I trimmed and applied the print to the seat surface. I found a great image featuring The Justice League Of America characters. These characters had a more adult feel. I used Mod Podge to adhere the image to the seat with a coat of Mod Podge applied over top to seal. 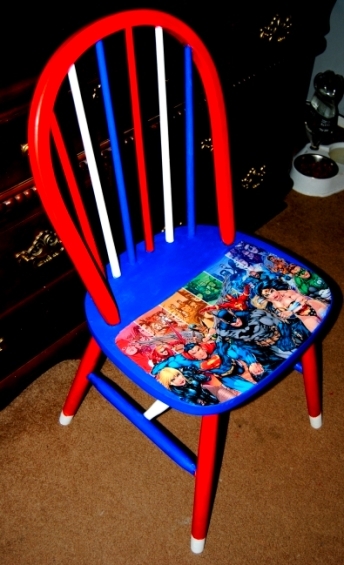 I then painted the entire chair with Red, White and Blue acrylic paint. This was the most labor intensive part of this project and required multiple applications of paint, but proved therapeutic after another stressful week. I applied Mod Podge to the entire painted area of the chair to seal it. Would this work with material?